Rob Hudson graduated from the University of South Florida with a degree in Economics. Rob is a fourth generation Tampa native and attended Tampa Jesuit high school. His grandfather, Frank Llaneza, is regarded as a pioneer in the resurgence of the premium cigar industry at the end of the 20th Century. He was best known for creating and manufacturing a number of popular cigar brands in the years after the 1962 Cuban Embargo, including Hoyo de Monterrey, Punch, Bolivar, and Siglo. Rob entered the insurance and financial services industry in 2008, and joined the Guardian Life Insurance Company in 2012. In his first 90 days, Rob was awarded his agency's first Client Builder Award for outstanding performance. 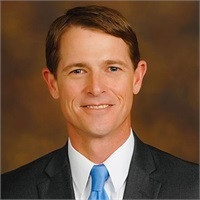 He has been featured in a number of publications, is a member of the Coastal Conservation Association, and is proud to be the class of 1998's representative in The Tampa Jesuit High School Alumni Council. Rob’s main objective in his practice is to position himself as a long-term financial resource for the people he works for. He does this with the help of The Living Balance Sheet®, a personally encrypted secure website that aggregates and updates every one of a person’s financial accounts on a daily basis. 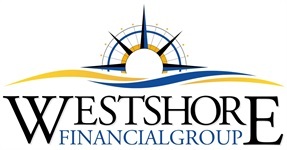 Rob’s clients find that a live “snapshot” of their entire financial world enables them to measure the stress of the real cost of living on their money while maintaining financial organization and balance. Rob comes from a family of outdoors enthusiasts. He is an avid fisherman, and regularly competes in professional tournaments. He’s even managed to win a few. Ask him about the 2012 Flatsmasters' Redfish Series Championship where he won a brand new boat!